Mac and cheese is the ultimate comfort food for me–after all how can you beat pasta and cheese? It’s the perfect meal to snuggle up with on a cold, rainy night of TV watching. But most instant gf mac and cheese tends to turn out watery and mushy–no thank you! 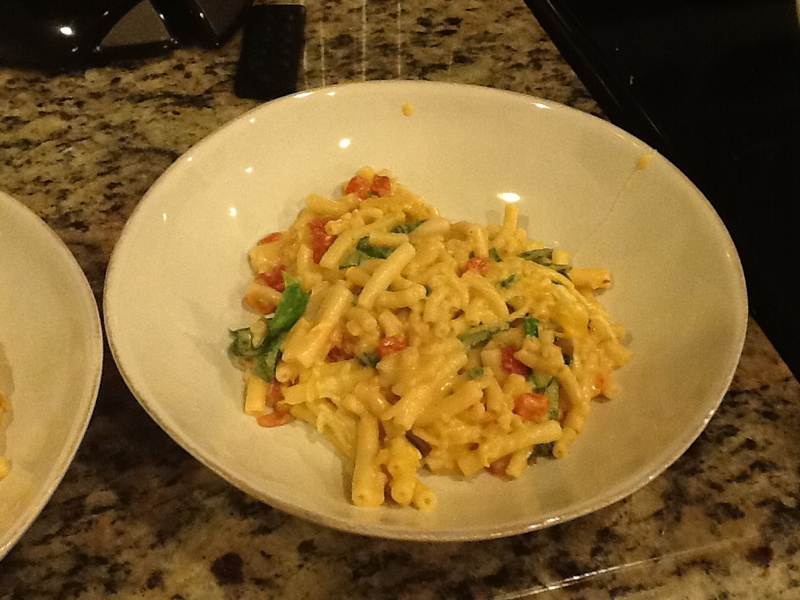 I tried multiple recipes for my homemade mac and cheese and none turned out very well with gluten-free ingredients, so I started experimenting using the basic concepts and this is the recipe I’ve deemed the winner! Just a few notes–the recipe is much better if you roast your own garlic and tomatoes, but for a quicker recipe you can use jarred garlic and canned tomatoes. Also, the higher quality your cheese, the more delicious this will be–don’t skimp on the quality of the gouda!! You can sub in different combos of cheese–brie is especially good with some figs thrown in–just keep the proportions the same. I love strong, stinky cheese, but you don’t have to go that route! 5.) 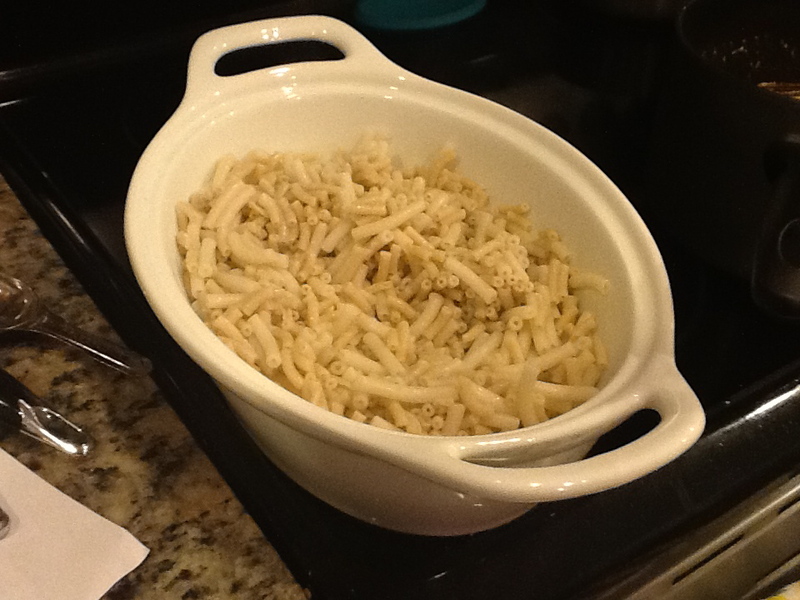 Drain pasta and rinse with warm water. 6.) 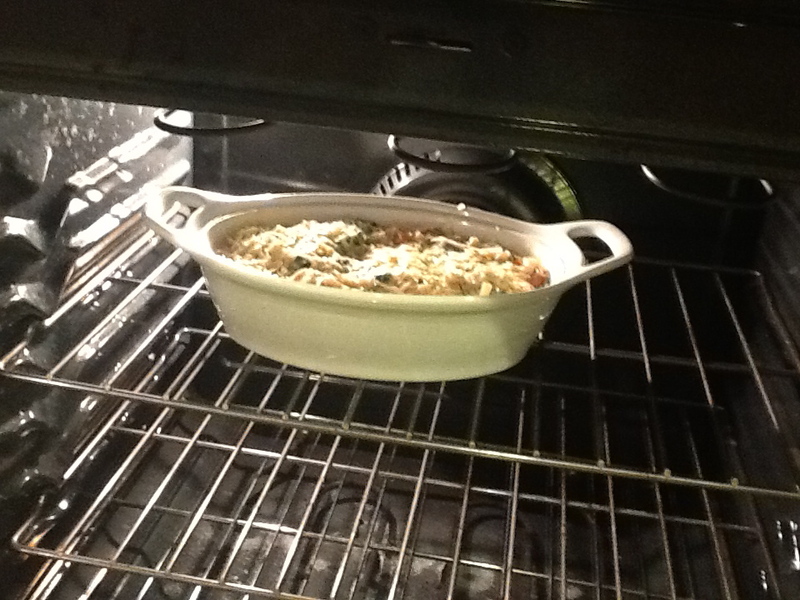 Put cooked pasta into Prepared baking dish and toss lightly with olive oil. Set aside. 7.) Bring the milk to boil in a saucepan over medium-high heat. Stir constantly to prevent burning. Remove from heat once boiling. 8.) 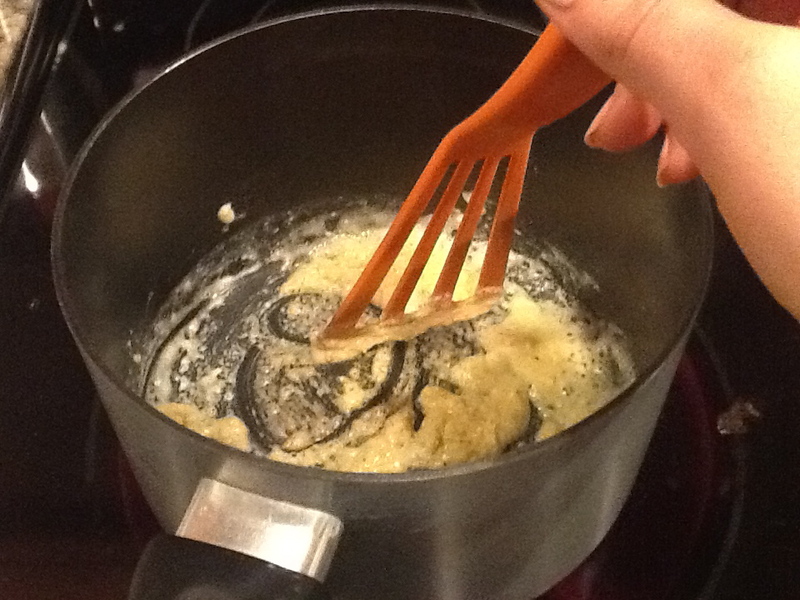 In a separate saucepan, melt butter over medium-high heat. Reduce heat to low and whisk in flour. Cook for 3-4 minutes, but do not let mixture brown. 9.) 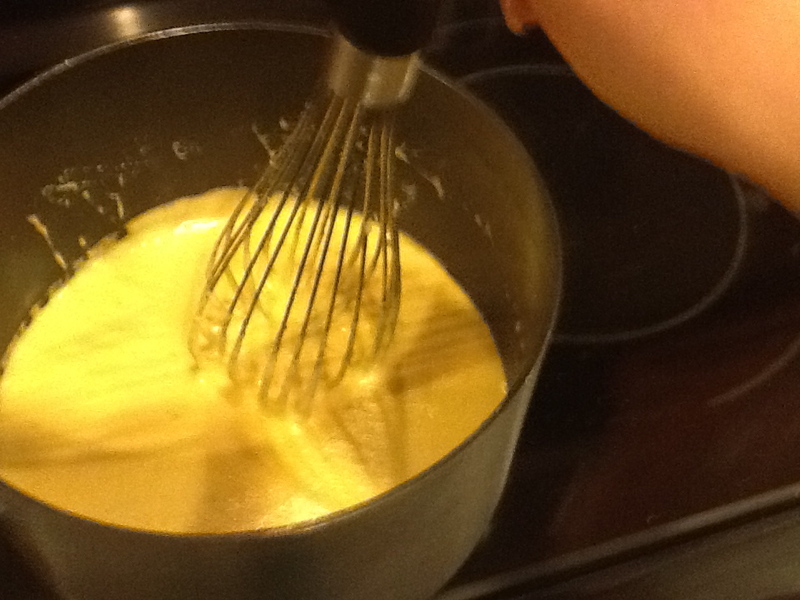 Slowly add the milk to the mixture, whisking as you pour to prevent lumps. 10.) Add the mozzarella, cheddar, and gouda. 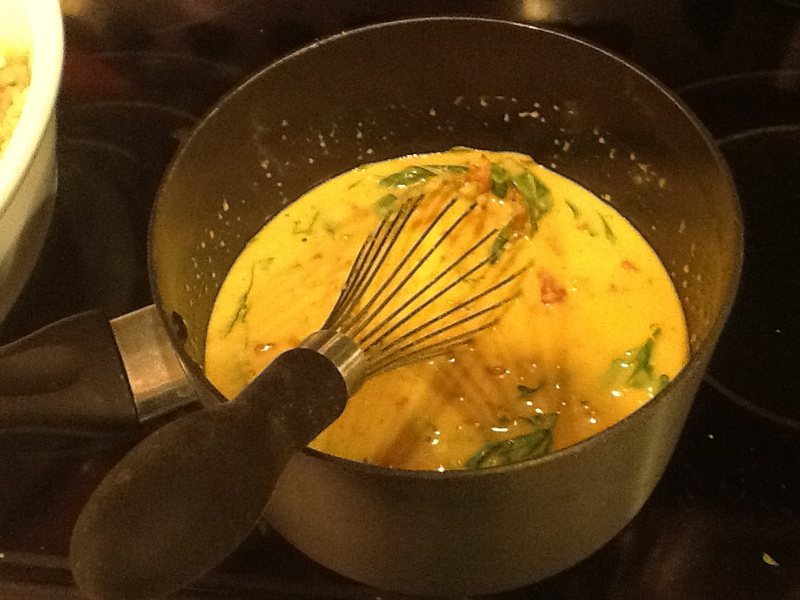 Stir constantly until the cheese is melted and the sauce is thickening. 11.) Remove sauce from heat. Season with salt, pepper, and dry mustard. Then stir in roasted garlic, basil, roasted tomatoes, and bacon. 12.) 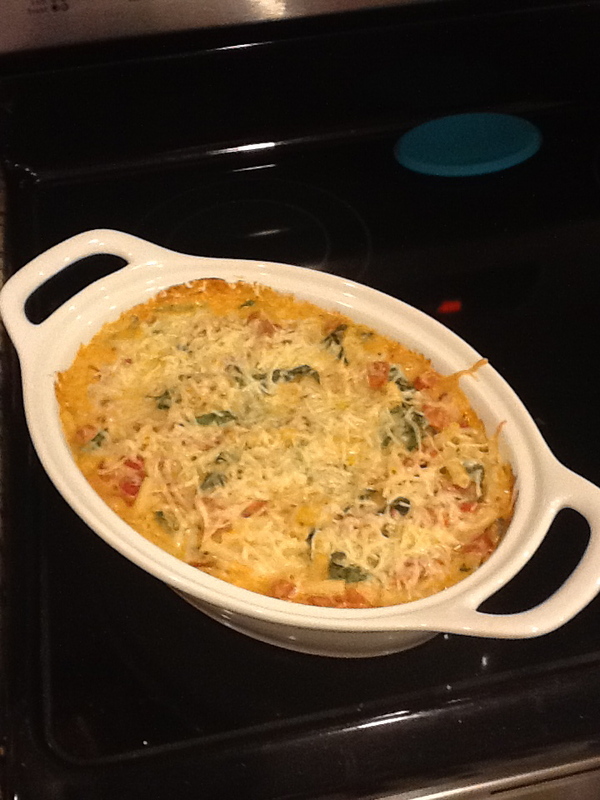 Pour cheese sauce over pasta in baking dish. Sprinkle parmesan cheese on top. Hope you love this cheesy goodness as much as I do! Stay tuned next Monday for another gf comfort food recipe! This entry was posted in celiac, gluten-free, recipes and tagged comfort food, corn-free, gluten-free, recipe by mollykhodgin. Bookmark the permalink. I cannot wait to give this a go! Thanks for the great ideas! Holy cow, Molly–that looks to-die-for. I must try this. So far, all I’ve had for GF Mac n cheese is the Glutino version. It was good, but I would much prefer homemade. I’m not much of a mac ‘n’ cheese from a box girl myself. if I’m going to splurge on the calories, I want lots of real cheese and butter! I hope you enjoy it. I wholeheartedly agree. Bring on the calories!